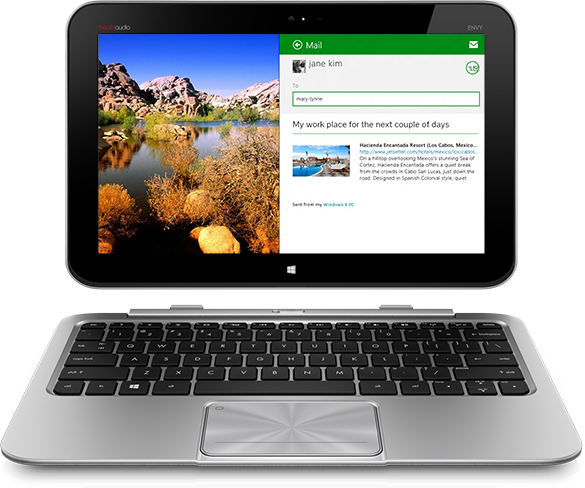 Windows 8 is the beginning of a dream in which tablets and computers seamlessly merge. Whether that dream has a happy ending or not remains to be seen, but the HP Envy x2 is one of the products that give me a lot of hope that this is all heading in the right direction. HP's combination 11-inch laptop and detachable full Windows 8 tablet isn't a wholly unique idea, but it's one of the best-designed iterations of the "hybrid" detachable concept in the Windows 8 launch generation. HP's Envy x2 convertible walks a fine line between tablet and laptop. Like so many convergence devices before it, the HP Envy x2 sets out to deliver a good experience as both a tablet and a laptop, and it compromises slightly on each. On the tablet front, the hardware and design deliver, but as yet, there just aren't that many great touch-centric Windows 8 apps. The single most important caveat with the HP ENVY x2 is that its specification is extremely lean: as tested, the device achieves only average benchmark performance and is fitted with just 2GB of RAM and 64GB of storage (with up to 24GB of this being partitioned for system recovery). 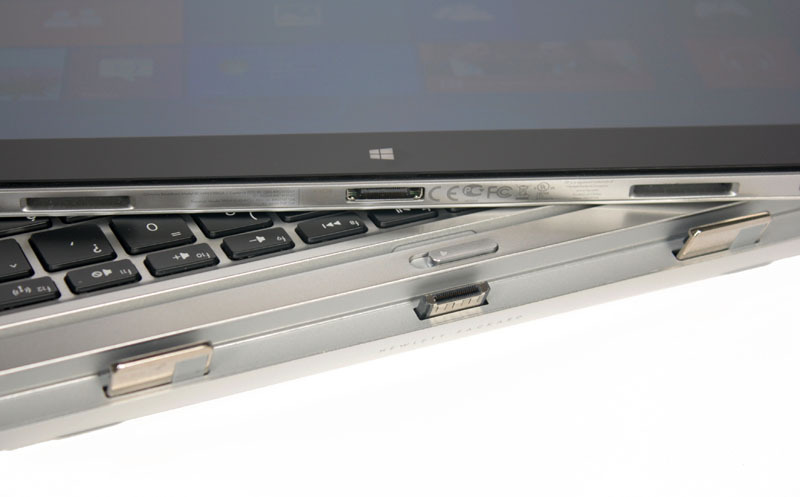 From a pure Ultrabook perspective, this seems very limited indeed. But viewed as a tablet computer - powered with a dual-core 1.8GHz Intel Atom processor and boosted by a high-quality detachable keyboard with trackpad and connectivity ports, not to mention double battery packs... oh, and it runs Windows 8 - the ENVY x2 is extraordinary. 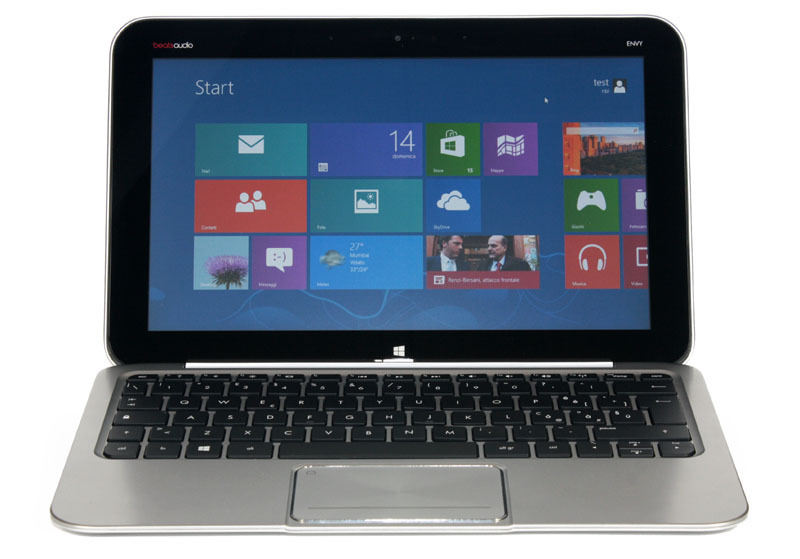 The HP Envy x2 is a beautifully built Windows 8 convertible tablet/laptop. As long as you don’t stress its Atom processor it’s generally a pleasure to use and sounds great. Unfortunately similarly specced rivals offer better wireless and physical connectivity, bundled Wacom styli, and longer battery life, all for £100 less. In other words, unless you really want the x2’s premium looks, its full-size SD card slot or its decent speakers, there’s little to envy here. 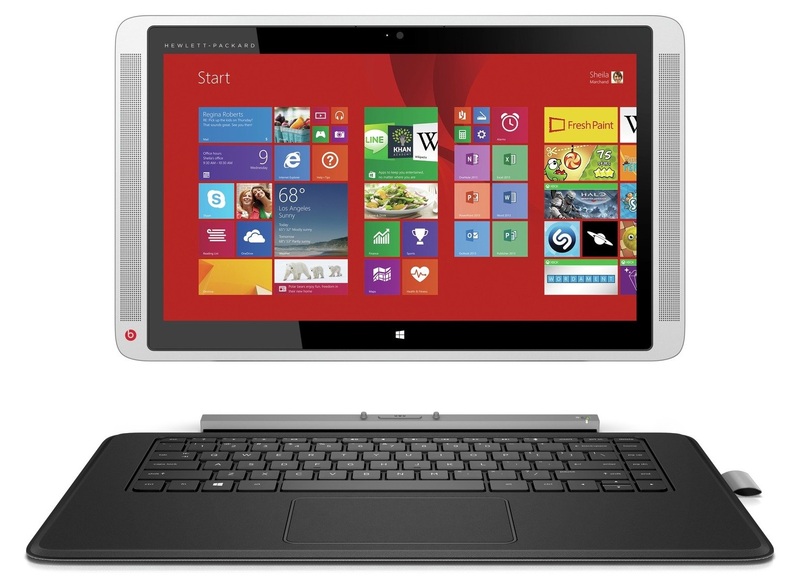 The HP Envy X2 provides Windows 8 touchscreen fun from a sleek and stylish body. 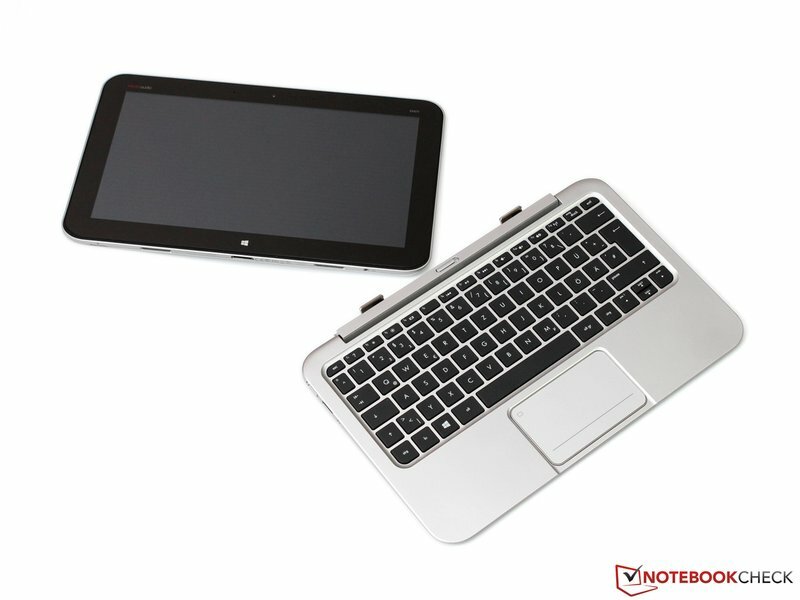 Its ability to act as both stand-alone tablet and laptop is undeniably handy. But it's let down by extremely disappointing performance and a low-resolution screen that are in no way justified by the high price tag. Regardless of what type of Windows 8 machine you're looking for, your money can be better spent elsewhere. If you want both a tablet and laptop, the HP ENVY x2 is a compelling offering. It has a premium look and build quality, the dock and latch mechanism are awesome. It’s just so easy to put the tablet portion into the keyboard dock, and once there it really does look and feel like a pure laptop, the screen is held in tight and there’s zero wobble. You get the full Windows 8 experience, allowing you to install any typical Windows desktop program and run multiple programs at once, this is not a watered down Windows RT or similar mobile OS you’re getting. The battery life including the dock is simply incredible, at 11 hours and 30 minutes under strenuous usage we’d be willing to bet you can fly from North America to Asia on one charge and not run out of battery. Though the ENVY x2 isn't perfect on every front, it's still a solid offering at $849 and does provide both a true laptop and tablet experience in one package. While we would have liked to have seen better performance, it's just not possible to cram a powerful Core i5 inside a slate tablet device, so you have to understand you can't have it all. Compromises have to be made to achieve this highly versatile form factor of a 2-in-1 tablet and laptop, and HP has struck a nice balance and done a good job with the design and engineering and so the ENVY x2 warrants a recommendation to anyone looking for a hybrid notebook convertible. The HP Envy x2 is a stylish Windows 8 convertible tablet/laptop that goes for a more premium aesthetic than its rivals and offers perks like Beats-enhanced sound. Unfortunately, it also comes with a premium price. It’s certainly well-built and attractive, and is generally a pleasure to use. However, it doesn’t offer a bundled Wacom stylus and also falls behind rivals in the connectivity stakes, so we’ll have to see if it can justify the extra it demands. 60% All style, no substance. It might look the goods, but sadly the ENVY x2 is all talk and no walk. That won’t stop those who value good looks over all else from shelling out for such a pretty product, but for those who demand value for money there are much, much better options. 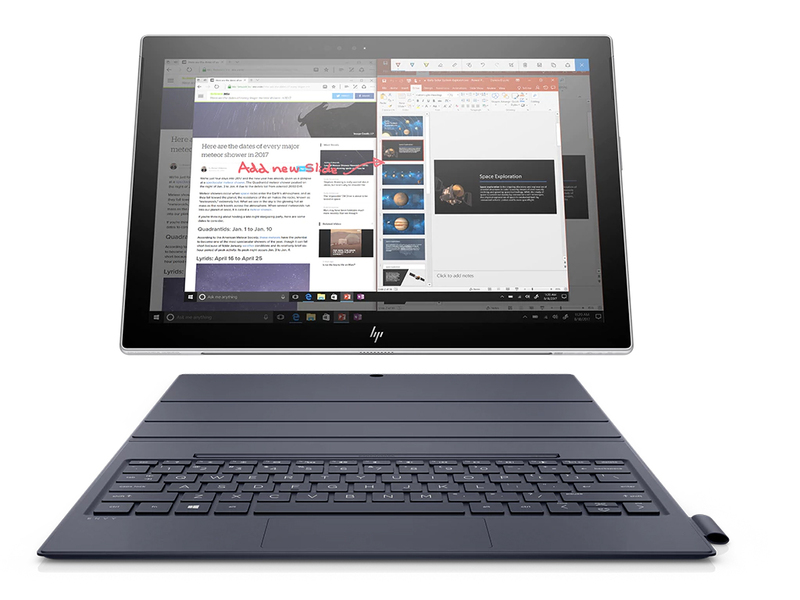 Hewlett-Packard managed to make a rather solid and competitive hybrid device, which functions almost as good as laptop as it does as a tablet, whit the aforementioned limits in performances. There are a few more slight flaws, such as the lack of USB 3.0 port or keyboard backlighting, somewhat lower screen resolution and none of them can spoil its positive impression. Current technology just doesn’t allow for a powerful Windows PC at an affordable price in a slim chassis. What separates today’s best and worst hybrid PCs is the way they manage their inevitable flaws and compensate for them in other areas. The Envy x2 is the best balancing act we’ve seen thus far. Unlike most competitors, this device is truly useful as a laptop. But, at $950, the Envy x2 is simply too expensive to get away with it. For the same price you can buy the much more powerful ASUS Vivobook X202E touchscreen laptop and a Google Nexus 7 tablet for those times when you want one. Alternatively, you could wait for Microsoft’s 10.6in, Full HD, Core i5-powered Surface Windows Pro, which is expected to be priced similarly. 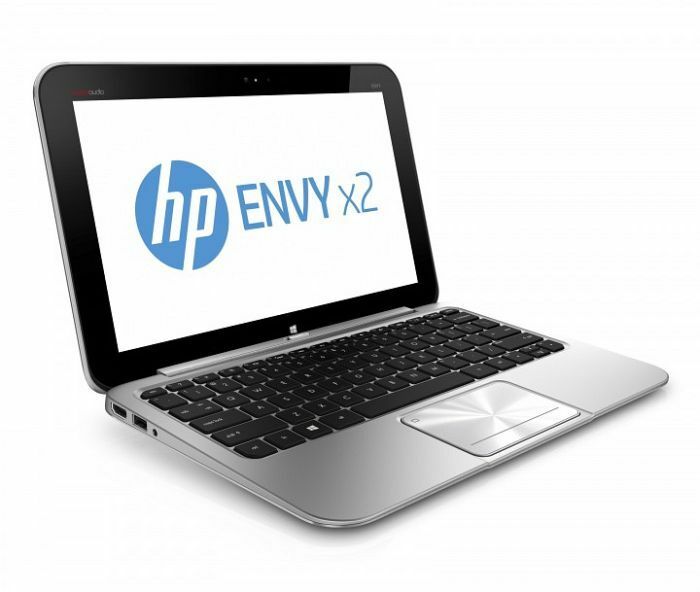 80% HP Envy x2 review: a Windows 8 tablet or laptop? It's both! We love the X2's design, but it's rather expensive given the modest performance on offer. Even so, it can still handle most basic computing tasks perfectly well, and its ingenious convertible design and impressive battery life mean that it will continue to earn its keep long after most laptops have run flat. In the end, though, we see so much potential in the Envy x2 we're willing to overlook some of its awkwardness. It's the type of device that is sure to improve over time, and it's showing the way to the undeniable future of ultralight laptops. I personally use a keyboard connected to my iPad at all times as I enjoy the tablet, but also enjoy the feel of a real keyboard at the same time. The HP Envy X2 is geared to someone like me who likes to go back and forth between a laptop setting to a tablet setting at any time. I found if you think of the HP Envy X2 as the best of both worlds, that it’s done very well and certainly stands out in my opinion due to its great battery life and display. The HP Envy X2 is a potentially great Windows 8 laptop-tablet hybrid ruined by its unusuably slow Atom processor. It's hard to justify spending £800 on the Envy X2 when the substantially cheaper Microsoft Surface, which admittedly has quirky design problems of its own, feels so much faster and more responsive despite having a theoretically slower ARM processor. In other words the Envy X2 is just poor value. 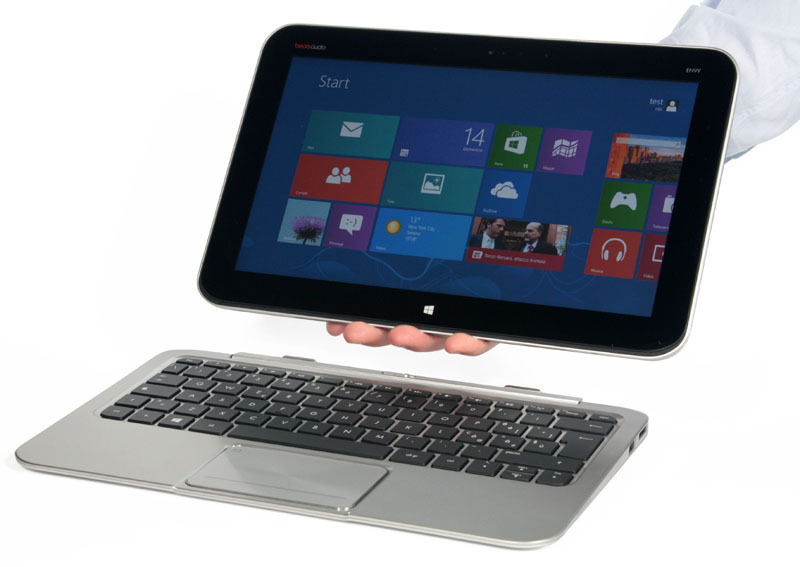 Positive: Design; touchscreen; keyboard; touchpad. Negative: Heavy. 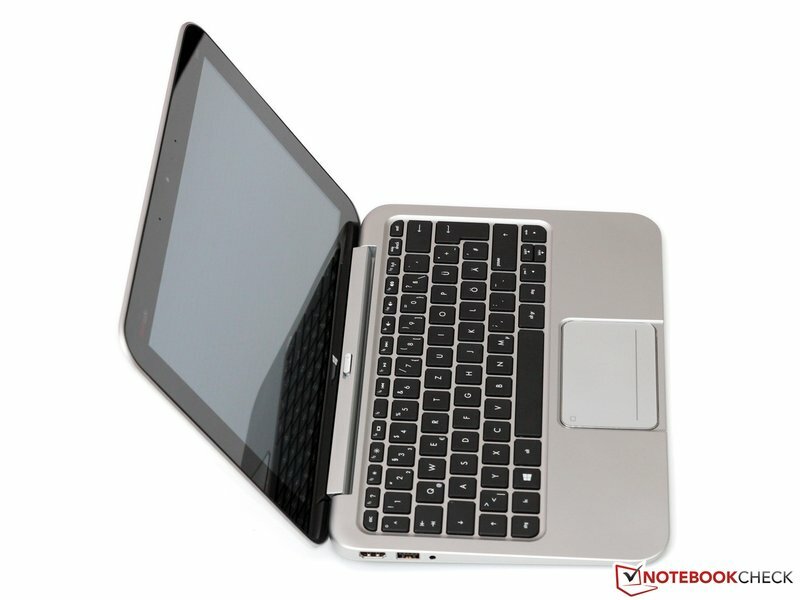 Positive: Convertible; very good quality materials; solid construction; comfortable keyboard; IPS display. Negative: Lack of expansion ports; battery life under tablet mode. Positivve: Excellent design; long battery life. Negative: No 3G; performance of the CPU. Positive: Thin body, good touch responsibility; high rigidity, aluminum body; long battery life. Negative: Performance of CPU. But at £800, the Envy x2 is simply too expensive to get away with it. For £72 more you can buy the much more powerful Lenovo IdeaPad Z580 and an iPad – or, you could wait for Microsoft’s 10.6in, Full HD, Core i5-powered Surface Pro, which is expected to be priced similarly. HP’s offering aims commendably high in terms of build quality – and in itself it makes a very agreeable platform for all-day lightweight computing – but when you weigh up your options, its capabilities are clearly far too limited to justify the price. WIRED An incredibly well-designed Windows tablet, one of the best-looking on the market. Surprisingly good audio. Really nice screen. Keyboard and touchpad both work well. TIRED Performance is all-around lousy. Chicklet up/down arrow keys. Heavier (and $100 more expensive) than the similar Acer, but with half the battery life. 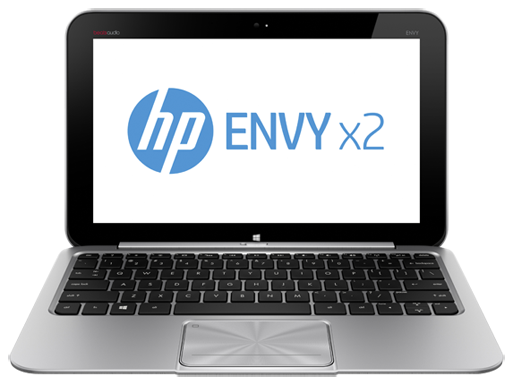 The HP Envy x2 is a product that we were excited about when it was first announced. But that excitement has largely evaporated thanks to the product's price point. See, the HP Envy x2 isn't a bad product by any means, it's just badly positioned on the price ladder. But such positives can't counter the near-£800 price and limited performance from the Atom processor. That's the long and short of it: the HP Envy x2 is a smart little hybrid, but there are cheaper and more powerful competitors out there and that's what holds this model back. If you ignore the $850 price tag, the HP Envy X2 makes sense as a sort of cross between a Windows RT tablet and an ultrabook. 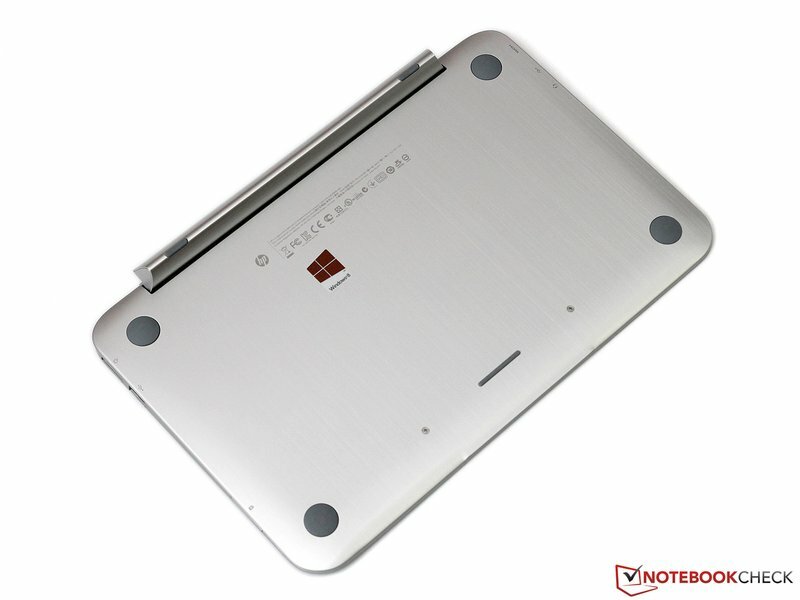 It’s a thin and light laptop that also functions as a tablet with long battery life. But it’s hard to ignore that price tag. Basically if you plan to use the computer as a notebook, you’re paying 3 times the price of a netbook to get netbook-style performance. At an MRP of Rs 59,990, the HP Envy x2 feels quite expensive for an Atom-based notebook. Even a Core i3 would have been welcome at this point. The only reason one may pick this over the similarly priced Windows RT tablets is that you can still use legacy x86 apps. It does have a very good battery life and plays 1080p video like a champ, but if that’s all you’re looking for, then you’re better off with an iPad or any Android tablet and a keyboard dock. The HP Envy X2 (11-g012nr) is faster than the Acer Iconia W510, has better all-aluminum construction, a more comfortable keyboard and mouse, and a sleeker design. But while the Envy X2 does offer enough battery life to carry you through the workday and then some, it still falls a few hours short of the similarly equipped Acer W510 while being priced $100 more. Broadwell, the second. Following the Yoga 3, HP's Envy x2 is one of the first devices on the market that is based on Intel's new Broadwell technology. 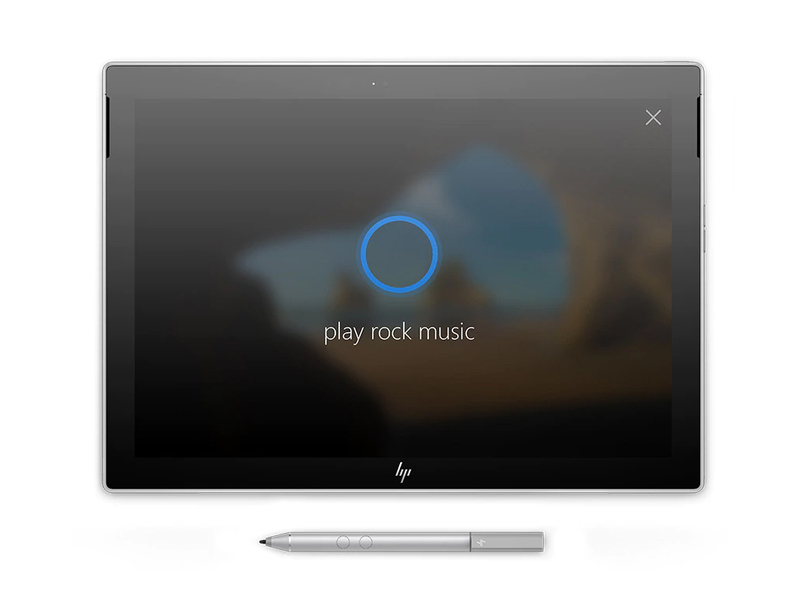 HP has created a convertible with multimedia mannerisms, not least due to the installed Beats Audio speakers. Our test will uncover other talents of the Envy x2. We're not completely taken by the HP Envy X2. It sometimes felt like a chore to use, mainly because of the layout of its keyboard and touchpad, and also because of the performance of its touchpad. 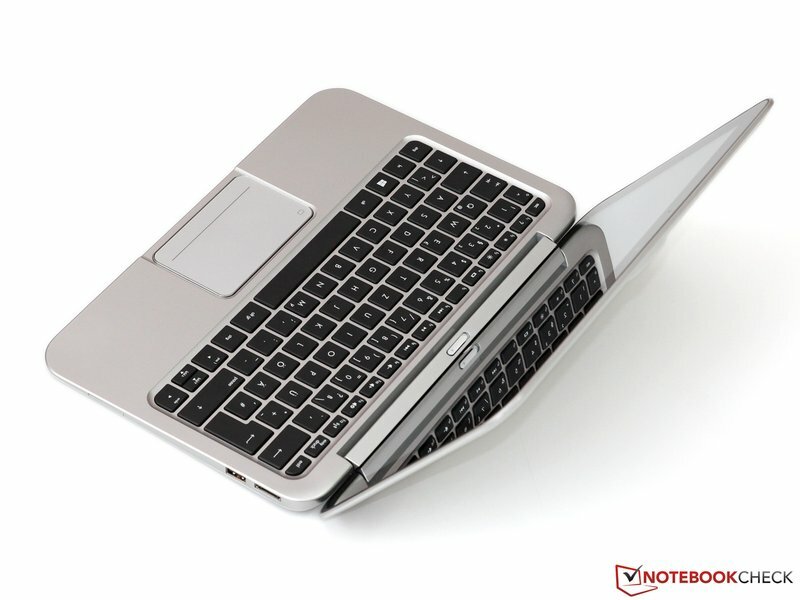 For notebook usage while resting it on a desk, we'd use a different keyboard and a dedicated mouse rather then the fold-up, detachable one. Though HP's bread and butter is their midrange and low end hardware, it's great to see them produce a few higher end gems like the Spectre 13, HP Omen 15 and the 2014 Envy x2 detachable tablets. These machines are well made with attractive and sturdy metal casings, modern designs and good displays. Fan-less. HP's 15.6-inch convertible wants to score with an energy-efficient processor from Intel's new Broadwell lineup, which enables a fan-less design in the Envy. A Full HD, IPS screen and good battery life are also part of the bundle. Boy does this 2-in-1 have style and versatility. I love the look of the thing and it feels great in the hand, too. Top audio credentials, 4G LTE connectivity, and a simply awesome battery life add a sweet level of boon on top. I'm still not convinced by Windows 10 S, though, and the system's power to price ratio remains out of kilter when compared to other similarly priced systems. It’s highly-portable, comfortable to use over extended periods and the battery just keeps going. Just be well aware of its software compatibility issues before buying. While it has many strengths, the HP Envy x2 doesn't have enough processing power to make it an easy recommendation. So, overall then, I can recommend the HP Envy x2, but suggest that you ask yourself what you need and prize from a hybrid system before you pull the trigger. The HP Envy x2 is not the most powerful hybrid by far thanks to that ARM-based architecture, and for the money you can get more punchy systems, but it is one of the most capable and versatile in terms of a tablet use and light-computing, offering outstanding battery life and a good all-round supporting package. 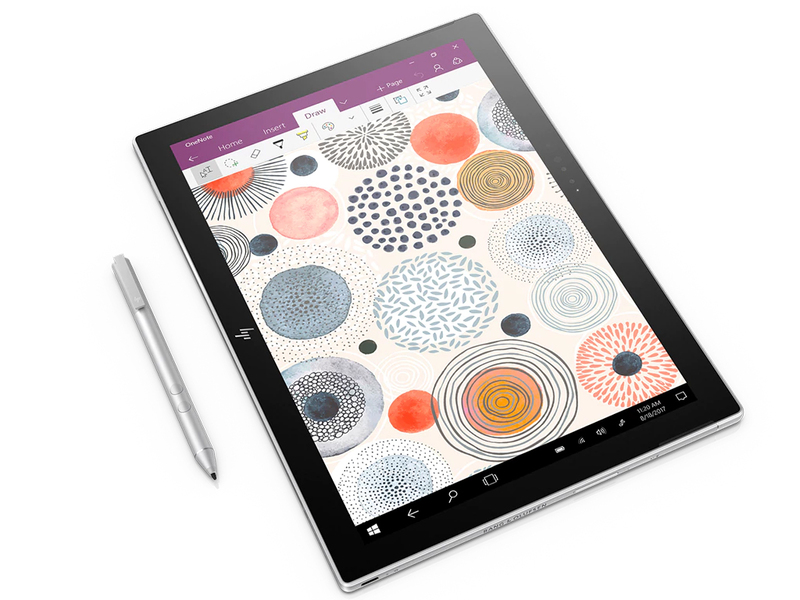 The HP Envy x2 is a sleek tablet and one of the first devices to run Windows on a Qualcomm Snapdragon chip. Starting at £999 it's more expensive than we expected but you get the keyboard case, stylus and 4G connectivity all included. While this first Snapdragon 835 Windows device isn’t impressive, I don’t think the entire platform is dead after a single wave of releases. If Qualcomm and Microsoft work on removing some of the platform limitations, allow the use of newer Snapdragon processors, and encourage companies to make entry-level devices priced appropriately, Intel and AMD could have a serious competitor in the sub-$500 market. But right now, Windows on ARM won’t succeed as a high-end product. The Qualcomm-based HP Envy x2 is an incredibly long-lasting laptop with fast 4G built in, but it suffers from mediocre performance. Since the HP Envy x2’s price is yet to be revealed, it’s difficult to determine how much of a competitor to the Surface it will actually be. However, the inclusion of the Snapdragon 835 and – if the claims are borne out – the 20-hour battery life mean it could be a very tempting proposition. There's no question that the HP Envy x2 is a nice Windows tablet with good build quality and decent specs. The keyboard case including the kickstand is a little bit fiddly but there are more pressing issues. We're sure that the mobile productivity experience within Office 365 will be great, but how it will run when you have to batch process 30 files in Photoshop, we just don't know. We also don't know how much the Envy x2 will cost, all we know is that it will be coming in Spring 2018. The HP Envy x2 is an incredibly thin Windows 10 tablet with a classy design that’s equally as impressive. If Qualcomm's Snapdragon 835 chipset proves to be as good as it promised, this could well be the best slate of next year. With always-on technology, a Snapdragon processor, and an LTE modem, the HP Envy x2 is poised to usher in a new class of hyper-mobile Windows PCs. If your usage model is compatible with using Windows 10 S and the Microsoft store apps only, you could be in for a huge change in how you use a laptop. It is undeniable that today’s usage is still largely influenced by the fact that battery anxiety sets in after 3-5 hours. 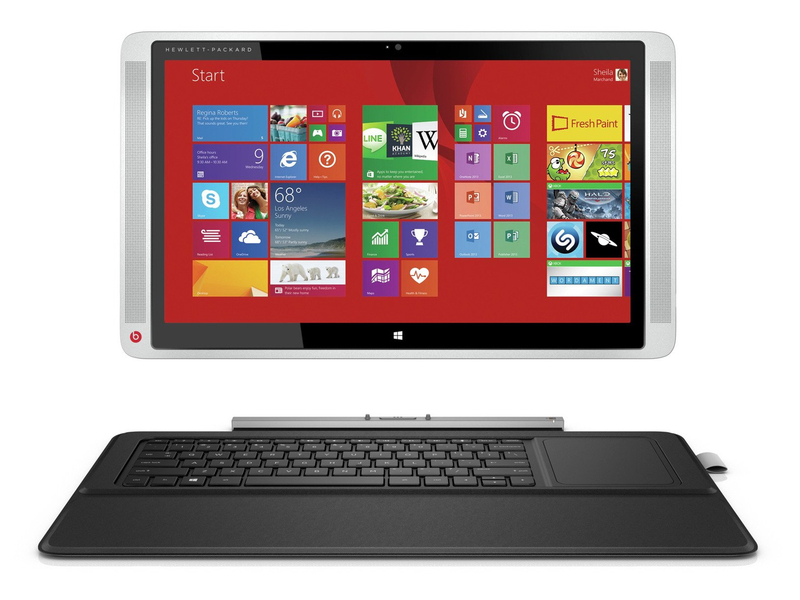 The HP Envy x2 is a 12.3-inch tablet that doubles as a laptop thanks to an included keyboard case. It runs on Windows 10S, a modified version of Windows 10 which only allows users to use programs from Microsoft's app store, although it is easy to upgrade to the full-fledged Windows 10 thanks to the Qualcomm Snapdragon 835 processor inside, which replaces the more traditional Intel CPUs found in most laptops. Qualcomm admits that Snapdragon PCs will indeed be slower than their Intel counterparts, partly due to the fact that they were not designed to process the code natively. The Snapdragon 835 processor instead passes code through additional steps, including an emulator and abstraction layer. This means that Universal Windows Platform (UWP) apps will always run better than other .exe programs, such as games and web browsers like Chrome. The tablet itself, while rather big at 12.3 inches, is slick, and its 1,920x1,080-pixel display is bright and beautiful. The front bezel is a deep black with just the right amount of gloss, while the sides and back are professional-but-not-boring silver. The leathery keyboard case is similarly regal and feels more substantial than some would like. 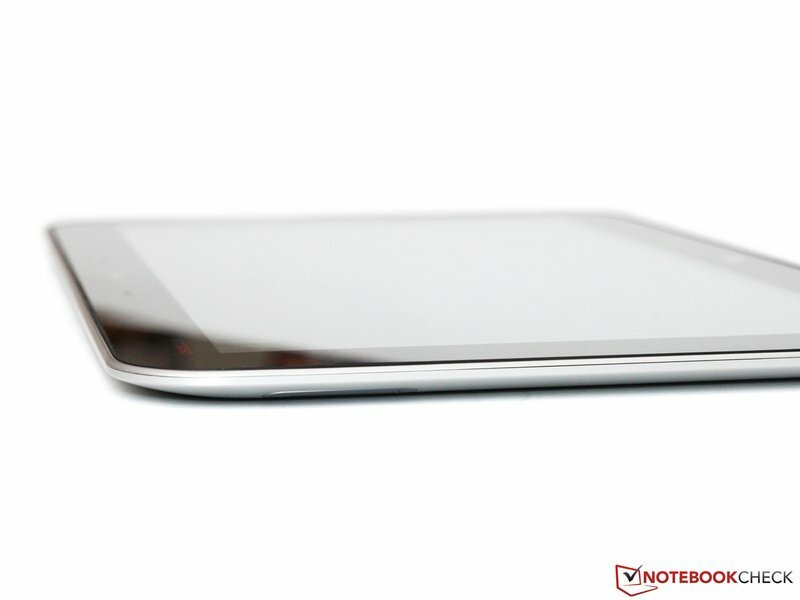 Overall, the Envy is a well-constructed tablet. It is made from CNC-machined aluminium and feels suitably premium and robust. Even the full assembly, keyboard cover and all, weighs a shoulder-friendly 1.21 kg. The Envy X2 comes pre-configured with its keyboard cover and stylus, whereas those accessories are an optionally added expense for the Microsoft Surface Pro. That is a good start. The soft-touch keyboard comes in a shade of blue with a leather-like material; it feels nice in the hands. The keyboard has full-size chiclet-style keys, and there are no oddities when it comes to placement and layout. 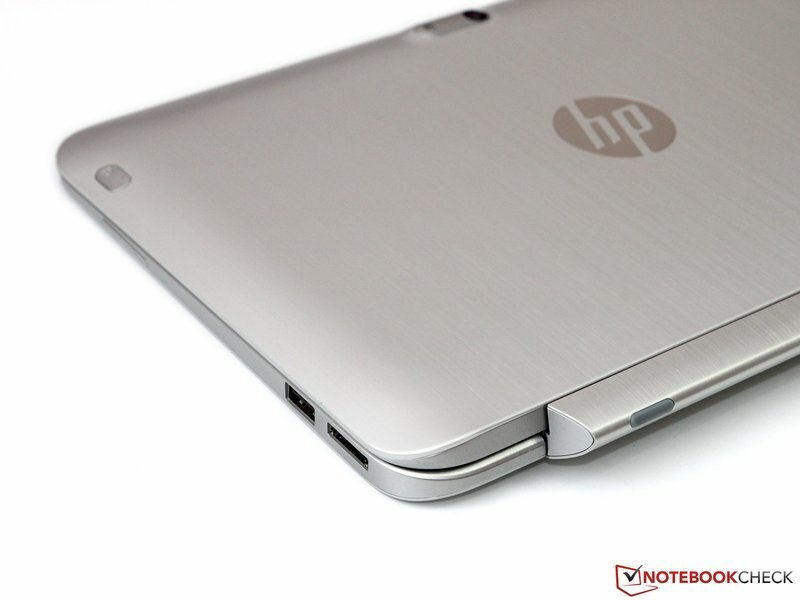 It also comes with HP's Digital Pen, which, equipped with a pressure-sensitive tip, mimics the feeling of pen to paper. It is nifty, as it lets the user use the tablet's touch screen without smudging it up with their finger, though it is an accessory that only auteurs will reap meaningful benefit from. The base model comes with 128 GB of storage, but there is also a configuration with double that. All models support Windows Hello, which lets you unlock the computer with your face. There is a 5-megapixel front camera and a 13-megapixel rear shooter. What it does not have are ports. There is no HDMI or even traditional USB port, just USB-C and only one of them at that. The HP Envy X2 is a viable option for someone who wants a media-streaming device with exceptional battery life, but also wants a little more flexibility than is offered by a traditional tablet. The Envy X2's battery can last up to 22 hours, at least according to HP. There is no denying that the battery life is incredible, and having a 4G LTE connection can also be useful. Of course, the always-connected nature of the system is a huge selling point. Yes, an LTE Verizon or Sprint account (or adding the device to your existing wireless plan) is going to add cost. However, being always connected adds a lot of value, and in some cases, it's a necessity. The connectivity we experienced was seamless and serviceable as well. We routinely got 8-15Mbps download speeds with 30-40ms of latency, even with relatively weak Verizon connections in remote locations. It's no gigabit Ethernet, but it turns out to be plenty fast enough to work and to stream a Netflix or YouTube video. HP has executed well on the vision and goals of the Always Connected PC with the Envy X2, and working with it on the road in real world use cases proved satisfying. The future of 2-in-1 laptops may be about smartphone-like capabilities and Snapdragon processors, but the HP Envy X2 hasn't the speed to take us there. 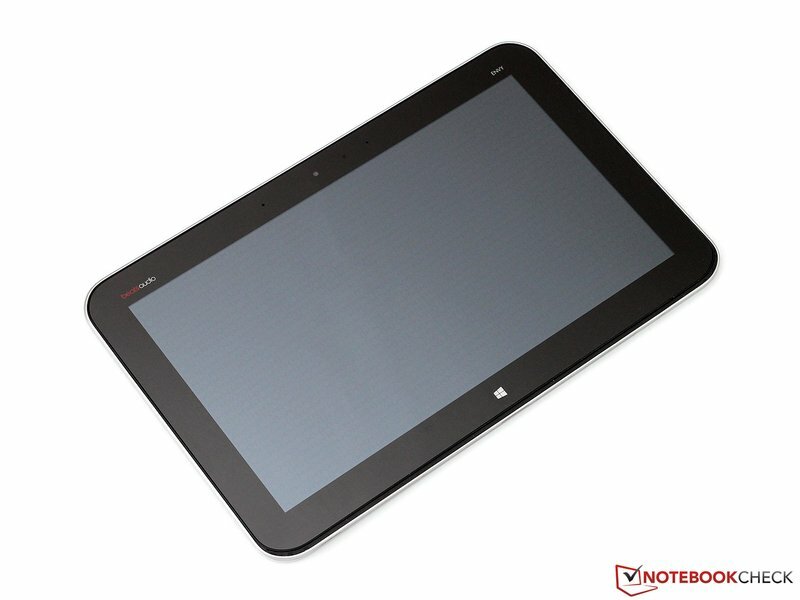 For basic Windows and web tasks, this is a superb laptop-tablet with amazing battery life. But more ambitious jobs are beyond it. Although the HP Envy x2 has some good points, like a thin and light design and spectacular battery life, it’s let down by a price tag that is far too high for the performance on offer. A real shame. Like the Qualcomm version, the Intel x2 is ready to be used on a 4G LTE network, so you can start working without worrying about an unsafe Wi-Fi network or tethering to your phone or hotspot. Also, the tablet is pen-enabled, and HP is throwing in the pen and keyboard for the price, which unfortunately isn't available just yet. Intel Graphics Media Accelerator (GMA) 3150: Integrated (shared memory) graphics card in the intel Atom N4xx CPUs. Minimally faster than an old GMA 950 and therefore not suited for 3D games or HD videos (only MPEG2 acceleration). unknown: Only some 3D games with very low demands are playable with these cards. Intel Graphics Media Accelerator (GMA) HD Graphics: Onboard graphics card that is built in the new Arrandale CPUs (Core i3 / i5 / i7 Dual Cores). Depending on the model and Turbo Boost, the GMA HD is clocked between 166 and 766 MHz.Non demanding games should be playable with these graphics cards. Intel HD Graphics 5300: Integrated graphics card (GT2) in Core M processors from the Broadwell Y-series (4.5 W TDP). Qualcomm Adreno 540: Integrated graphics card in the Qualcomm Snapdragon 835 SoC. Slighly optimized architecture compared to the Adreno 530 but with higher clock speed due to the new 10 nm process. In the beginning of 2017 one of the fastest graphics cards for Android based smartphones.» Further information can be found in our Comparison of Mobile Graphics Cards and the corresponding Benchmark List. 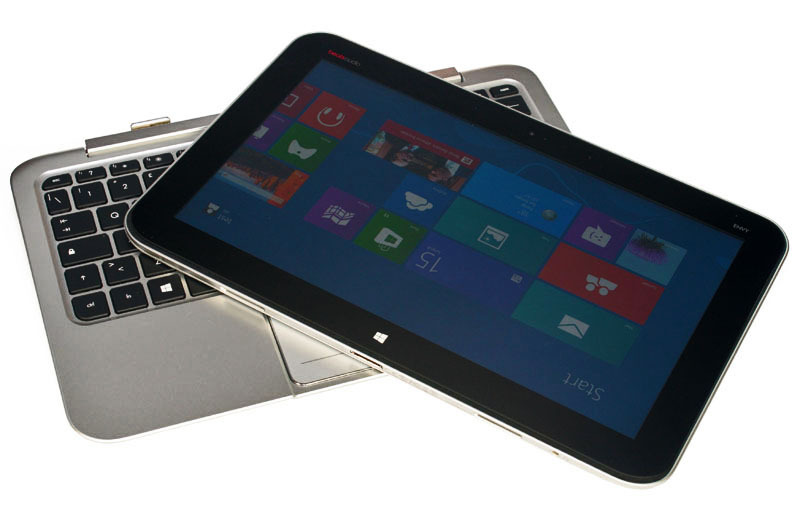 Broadwell-based ULV dual-core processor for tablets and 2-in-1 notebooks. Offers an integrated HD Graphics 5300 GPU and is manufactured in 14 nm. 68.76%: This rating is bad. Most notebooks are better rated. This is not a recommendation for purchase.» Further information can be found in our Notebook Purchase Guide.